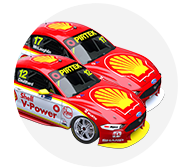 Virgin Australia Supercars Championship leader Scott McLaughlin led team-mate Fabian Coulthard in another front-row sweep at the Winton SuperSprint. The Shell V-Power pair took a one-two in ARMOR ALL Qualifying on Saturday and backed that up again on Sunday, McLaughlin taking his seventh pole of the season. At the other end of the order, title contenders Craig Lowndes and David Reynolds will start just 23rd and 26th. McLaughlin, Coulthard and Saturday winner Rick Kelly spent stints at the top through the first half, until McLaughlin turned a 1:19.2888s nine minutes into the 20, to go three tenths clear. Coulthard cut that margin back to just over one tenth shortly afterwards, with Kelly then getting within 0.0332s at the 12-minute mark. McLaughlin, Kelly, Coulthard and Chaz Mostert were the top four with four minutes to go, all covered by less than two tenths. There was more to come in the final runs, McLaughlin turning a 1:19.0200s that was ultimately unbeaten. 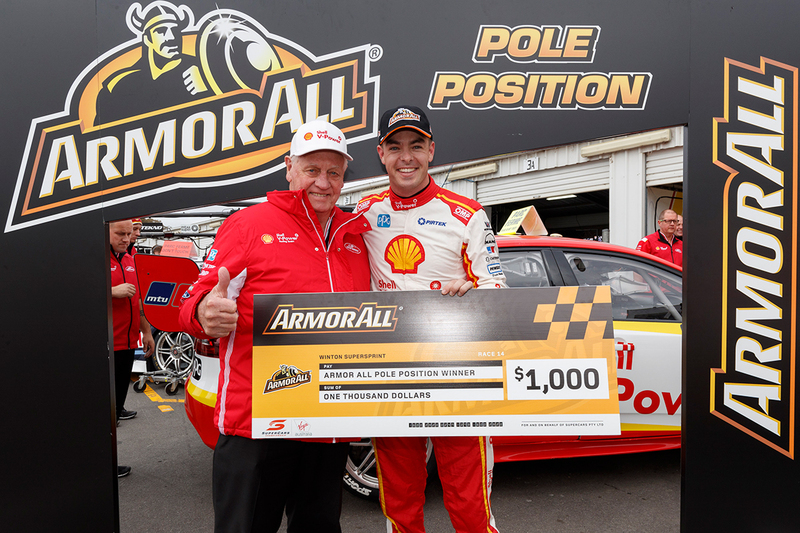 With the result, McLaughlin moves past Allan Moffat on the all-time poles list with the 40th of his Supercars career. "It’s nice. I always like a good stat," he said. 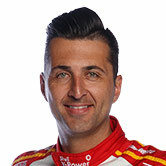 "It’s great for the team at Shell V-Power Racing, another front-row lockout. "Hopefully I don’t balls it up like I did yesterday and we can have a good race. "The car was fantastic then, I just had to hit my marks and we got it done." Coulthard was ultimately 0.1192s behind, but jumped Kelly in the closing stages, despite a late improvement from the Castrol-backed driver. 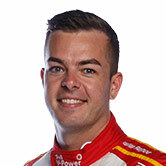 Michael Caruso moved up from 10th to join Nissan team-mate Kelly on the second row in fourth, demoting Mostert to fifth while Scott Pye grabbed sixth. The session started in curious fashion, with Mark Winterbottom and Shane van Gisbergen making contact through Turn 5 on their outlap, which stewards will investigate post-session. Both cars sustained minor damage and a puncture apiece, Winterbottom to the left-front having been quicker and on the outside, and van Gisbergen the right-rear. Van Gisbergen leapt up the order from 22nd to seventh with his final lap, shading Jamie Whincup as the best of the Triple Eight Commodores. Tim Slade also made late gains from the base of the order to be ninth, having run off at Turn 11 earlier in the 20 minutes. Richie Stanaway was the top rookie in 10th, the Tickford Racing driver recording a personal-best Supercars grid position in the process. Winterbottom wound up 18th, one spot ahead of Lee Holdsworth for the Preston Hire Racing driver’s 400th Supercars start. Another milestone man, for his 650th, Lowndes could only manage 23rd. Reynolds’ tough weekend continued, having finished 25th on Saturday after sustaining first-lap damage. The Erebus Motorsport driver turned two laps before stopping to have steering problems traced to the right-front corner assessed. "I think the bearing has fallen out of the bottom arm of something, so probably left over from yesterday," said Reynolds, whose car suffered right-front damage on the opening lap of Saturday's race. "It’s a team sport at the end of the day. If I didn’t want a team sport I’d play golf or tennis." He did not rejoin the action and will line up 26th and last for the 67-lap race starting at 1:45pm.